The corpus luteum in the ovary is a temporary endocrine gland to produce progesterone – the hormone needed for the process of fertilization and normal pregnancy. His education comes after the rupture of the follicle and the release of the egg from him, that is, after ovulation. Developed in the luteal phase of the cycle when it is called menstrual corpus luteum. If no fertilization and pregnancy do not develop, it operates to 2 weeks and then dissolves. With the onset of pregnancy, the corpus luteum in the ovary increases rapidly and lasts until about the 4th month of pregnancy when the placenta is formed, taking over the production of progesterone. Now it is called the corpus luteum of pregnancy. The corpus luteum in the ovary functions as a hormone called progesterone (from the Latin. «gestatio» – nurturing). 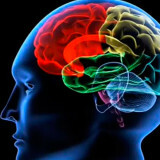 It is a steroid hormone synthesized from cholesterol under the influence of the pituitary luteinizing hormone. are involved in maintaining normal menstrual cycle, together with estradiol. 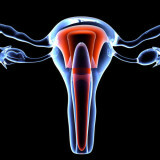 It promotes changes in the internal lining of the uterus, preparing it for bearing the ovum. During pregnancy helps to suppress the activity of smooth muscle of the uterus and preservation of pregnancy. It prevents ovulation new follicles in the ovary. Participates in the process of maintaining the level of blood pressure and blood sugar levels. Sometimes the corpus luteum in the ovary does not produce enough progesterone, in this case, there is a risk of miscarriage in early pregnancy. This disease can develop at any age, while maintaining reproductive function, although more common in women under 30 years. Cystic corpus luteum is a benign neoplasm, the interior of which is represented by a cavity filled with liquid. 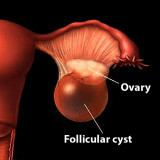 Usually it develops in one ovary, when disrupted the process of its formation at the site ruptured follicle. The result is a follicle stretching and filling it with serous fluid. The resultant cyst is usually asymptomatic, can sometimes be accompanied by a slight pain in the abdomen, and menstrual irregularities. 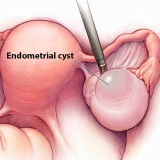 Usually, cysts does not increase more than 7-9 cm in diameter and is diagnosed as a chance finding on ultrasound. 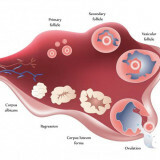 More severe symptoms arise in complication in the form of cysts hemorrhage cyst, the cyst at break and the output of its contents into the peritoneal cavity. This may be accompanied by nausea, severe abdominal pain, signs of peritoneal irritation. In most cases, the existence of this cyst regression of finishes and independent resorption. And only when you save the cyst over 3 months of continuous monitoring resorted to therapy. Treatment luteum cysts require surgery – therapeutic laparoscopy. 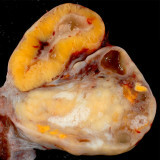 Produced excision of cystic formation within healthy tissue unaltered. Previous story Pregnancy and ovarian cysts. Dangerous?